Home to be sold "as is". Seller will provide a clear county occupancy report but will not make any other repairs or provide any monetary compensation. 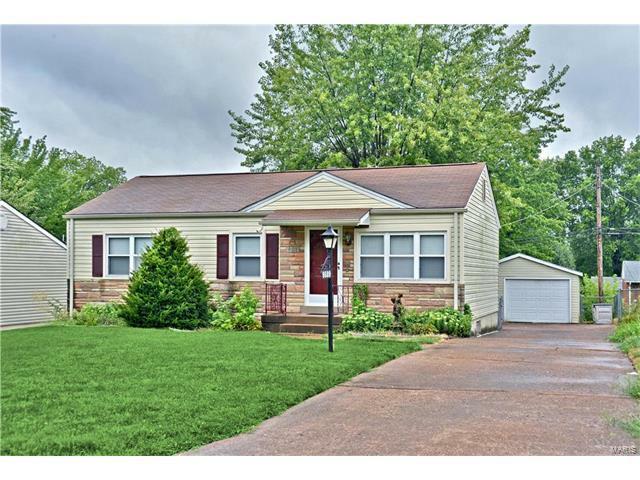 Attractive 2 bedroom, 1 bath ranch with an over-sized 1 car garage on a level lot. Nice curb appeal including a stone accent front and mature landscaping. The front entry brings you in to the open layout living and dining rooms, generously sized and finished with crown molding. The kitchen has raised panel cabinets with a tile back-splash and ceramic tile flooring. Appliances include an electric stove, built in microwave, dishwasher and refrigerator. Both bedrooms have ceiling fans and are serviced by a clean, tiled full bath with a glass block window. Delightful patio to enjoy a cup of coffee or barbecue. Wide driveway leads to the 1+ car garage is perfect for extra storage or car projects. Finish the lower level for additional living space. Close to shopping, dining and highway 55. Union Road, West on Forman Road, Left on Dana Avenue (turns into Anchor Drive), Right on Starboard Drive.